Curb appeal is an important aspect of increasing the value of your property. It is crucial that you invest in your curb appeal because it is what people’s first impression of your home is. Creating a significant first impression goes a long way to increase the worth of your property. There are many ways that you can increase your home’s curb appeal. You can have a well-maintained lawn, which is a big feature of your home’s exterior. Additionally, you can invest in good outdoor lighting. 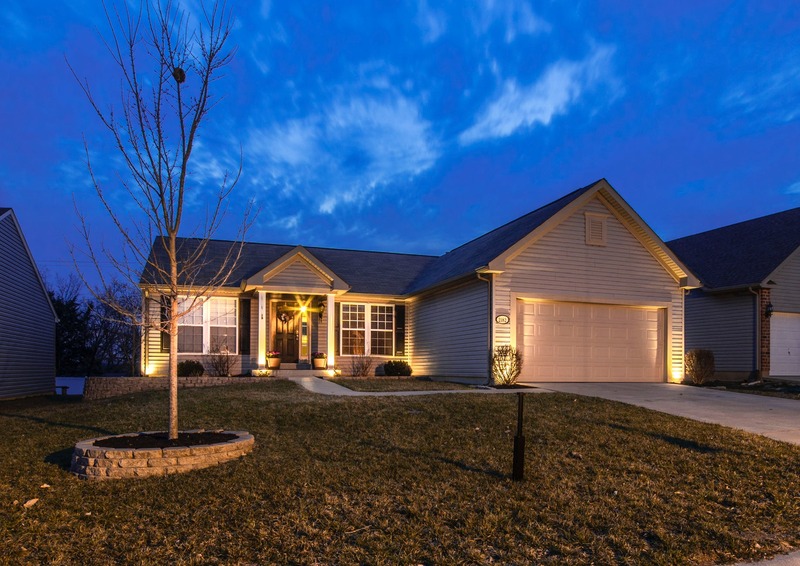 Homeowners don’t know how well outdoor lighting can improve their home’s curb appeal. 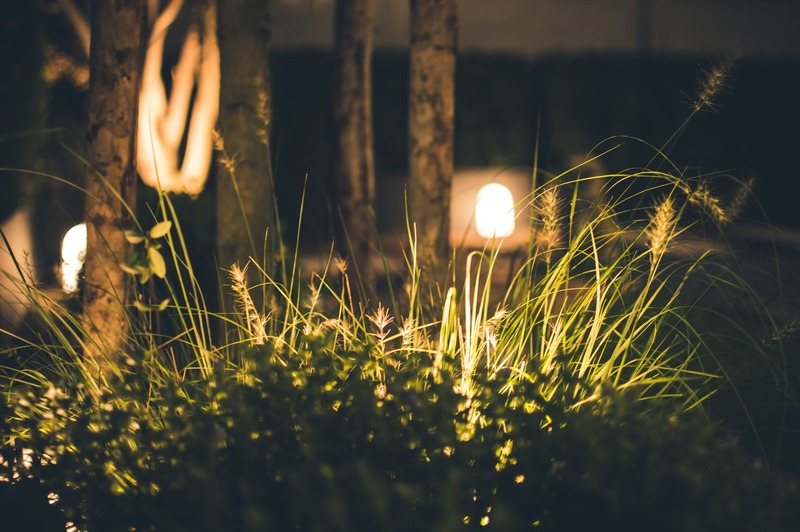 If you are looking to invest in outdoor lighting, then try out some of the following outdoor lighting ideas that can help you improve your curb appeal. 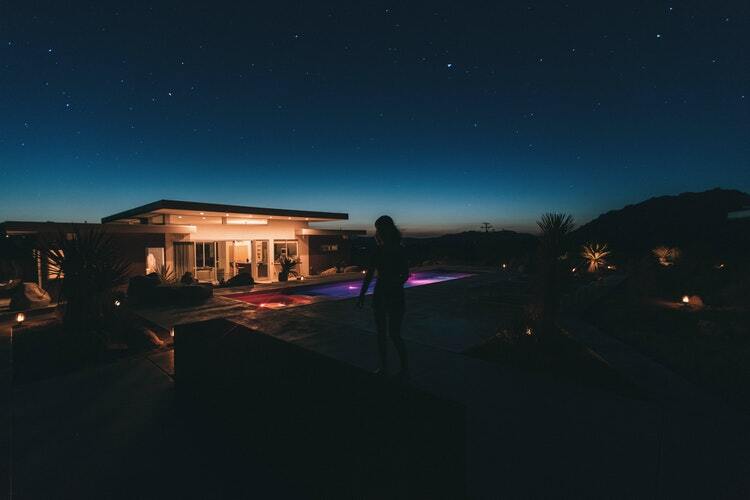 One outdoor lighting technique that you can utilize to beautify your home is silhouetting. Silhouetting is the lighting technique that makes the featured object darker in front of a lighter background. You can use this technique if you want to emphasize and interestingly shaped plant or tree. The uplighting technique can accentuate these features and can create a compelling design on your walls all through playing with shadows and lights. To do this technique, purchase some spread lights. Spread lights are great at having uniform white light reflect off of the plant and highlight the wall of your choice. Thus, it is great for creating a Silhouetting effect. Another interesting and useful outdoor lighting idea is path lighting. When you light the path, you not only create pretty outdoor lighting features, you also make it easier to find the path during the night. Lighting the path can help guide people living in the house and guests especially, to know where the path is. This is an important feature because this also helps people avoid the more natural areas of your home where you do not want people stepping on. Use a downlighting technique to give a spotlight effect on the path. It can give a sense of adventure and make people compelled to follow the path that you have laid down for them. During the nighttime, it can be difficult to accentuate the features of your home. It is difficult to see and most of its lineaments are shrouded in the darkness. If you still want to highlight your home’s facade in the dark, then invest in some mounted lights. These wall-mounted lights can be put up on the exterior of your home which you want to be highlighted. This allows people outside of your home to see the beauty of your home from the street side which is a good idea for your curb appeal. Aside from that, it can help accentuate areas of the home that you would want guests of your home to gravitate towards. Use wall mounts to show people where the doors are so that they won’t get lost. 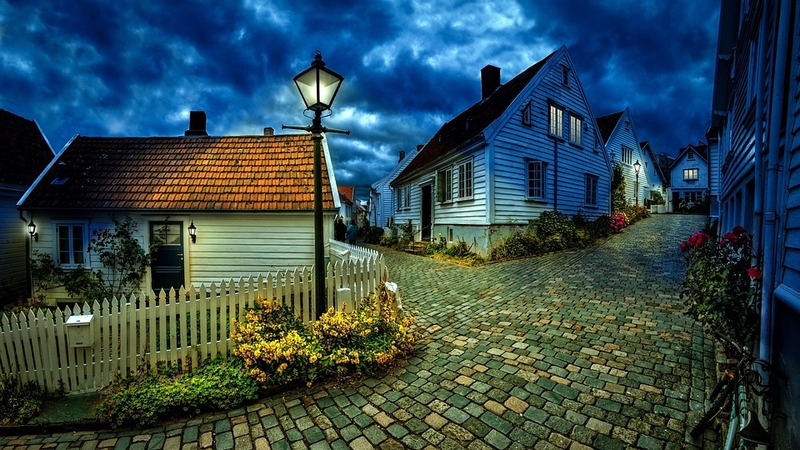 Lamp posts are also another great outdoor lighting feature that can boost your home’s curb appeal. The key to installing these is their placements. When installing lamp posts, make sure that you do not overdo it. Otherwise, it may feel a bit crowded, cluttered, and noisy. There are certain places where lamp posts can work well in. One place is on outdoor entrance ways, like gates and the like. They can ideally be placed during ends of pathways. Another option is placing them in seating areas. 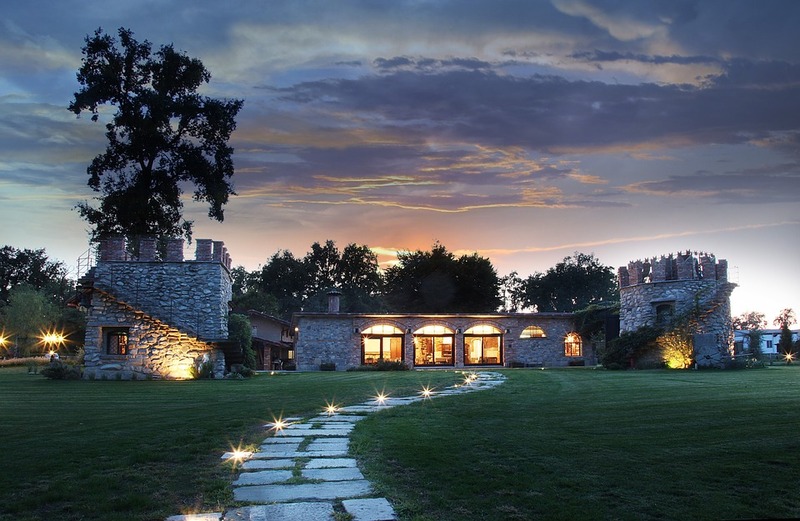 Outdoor lighting ideas should not only be for aesthetic purposes, but they should also be able to serve a need. One way that they can help you is that lighting is a detriment for criminal activity so it is important that a home is well-lit. On that note, invest in some lighting for your entryways for security reasons. When someone comes knocking on your door, you would want to be able to see who they are. Thus, entryway lighting is good for this purpose. Aside from that, it also helps people see where your doorways are. You will not be leaving guests guessing in the dark where the entryways of your home are so that is another purpose served by entryway lighting. 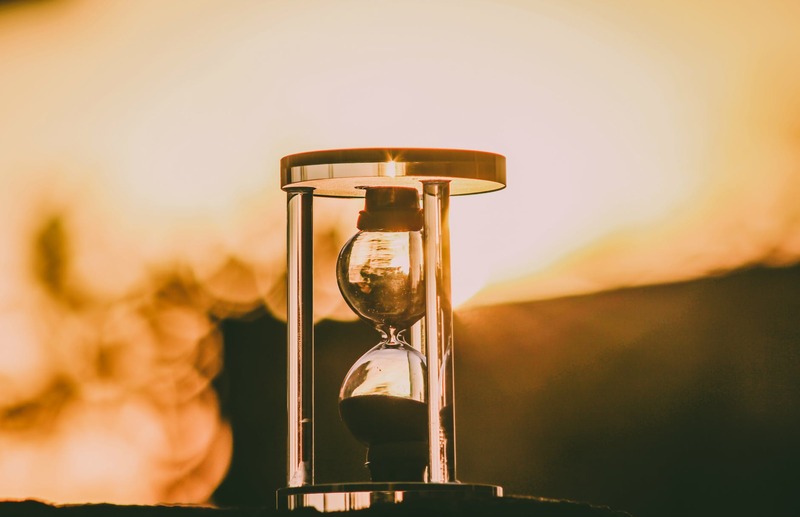 There are many features in people’s homes that lose a spot on the stage once the sun starts to set. One of these features are the water features in one’s home. If you have a water feature in your home, then invest in some underwater lights. Water features provide an instant cooling effect in the home and help create a peaceful vibe to your home. With underwater lights installed, the calming effect of water can move on into the night. You can even change it up by installing multi-colored underwater lights. Plus, this helps you avoid accidentally falling in the water when it is nighttime. With outdoor lights, it is vital that you use lights that can last long so that you do not have to update and replace the lights too often. Thus, when installing outdoor light fixtures, use LEDs in your light fixtures. There are many benefits to moving on to LEDs. 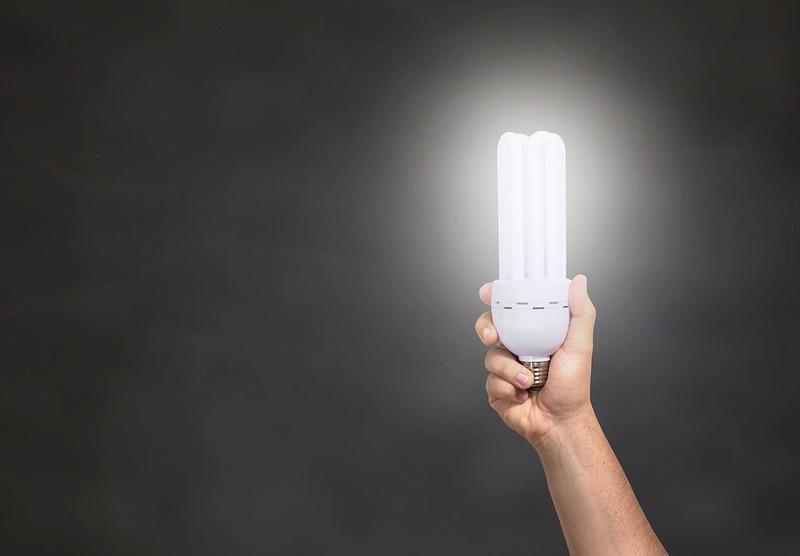 One benefit is that LEDs last longer than any incandescent lighting. It is reported that LEDs last for up to 50,000 hours. Aside from long-lasting lights, LEDs can withstand weather changes well. With LEDs, your outdoor lighting will be able to last for a long time without the need for a replacement. If you still haven’t, then now would be a good time to change to LEDs for their suitability to the outdoors. A neat little trick to use for your outdoor lighting are light timers. Light timers have built-in clocks that allow you to set which time you want the lighting to turn off or on. When you have these installed at home, you will save yourself a lot of money from electricity bills. You wouldn’t want to catch your lights turned on the entire time the sun was up. To avoid this, you can set which times your outdoor lighting should turn on or off. It is convenient as well because you don’t have to constantly remind yourself to switch your lights on or off. 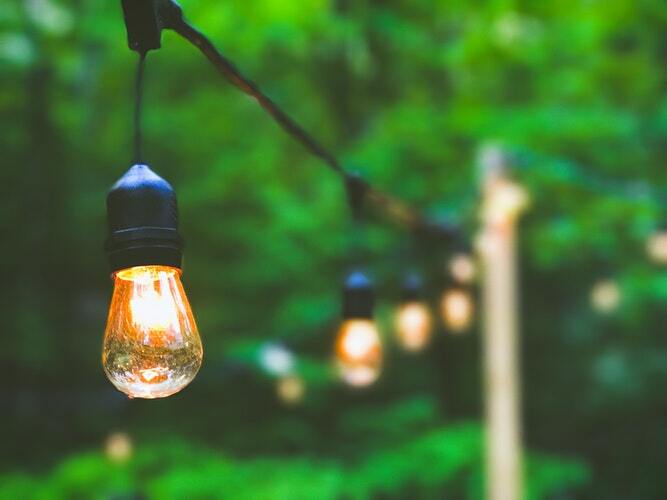 Overall, there are many ways and techniques that any homeowner can keep track of or use when it comes to outdoor lighting. If you are looking to improve your domestic outdoor lighting needs then Halcyon can help you with their broad range of quality lighting products. 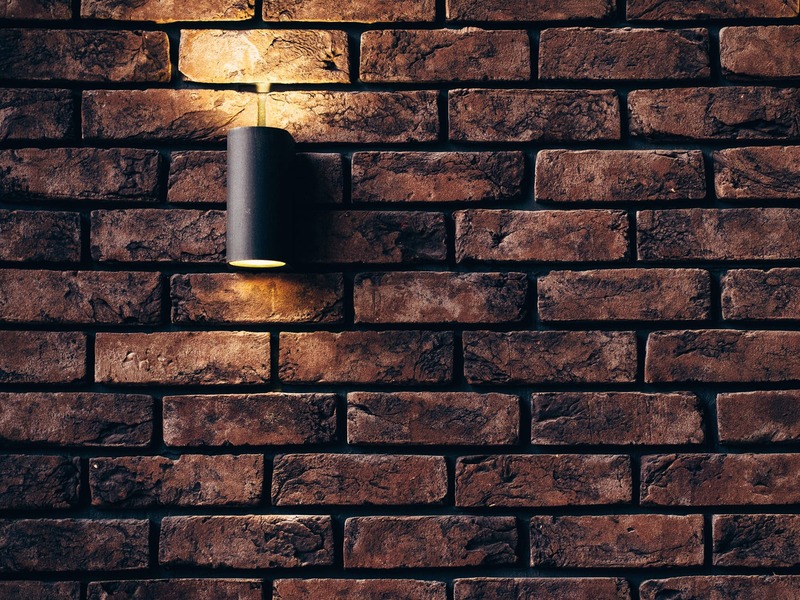 Before you try out any lighting idea, however, do note the features of your home and what you are looking to get out of your outdoor lighting. This way, you’d know which outdoor lighting idea is for you.